Anaconda stainless steel corrugated hoses are designed for industrial applications in which gases or fluids are transported. They are designed to withstand high pressure, high temperature and various chemical substances. 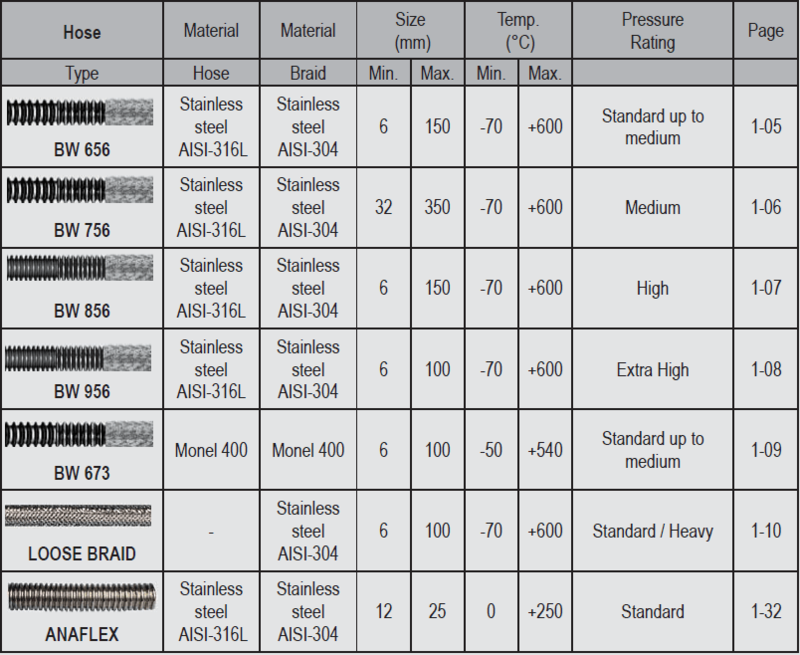 Available in stainless steel AISI 316L, monel and other materials. Anamet can offer solutions to a wide range variety of applications. Our offering is complemented by a wide range of matching flanges and fittings, enabling us to produce practically every type and combination to specification. Stainless steel hoses available from full vacuum up to 400 bar (from DN 6 to DN 200). Monel hoses available up to 250 bar (from DN 6 to DN 100).